Aluminium is used in various high utility products such as household electronics right from kitchen appliances to bathroom accessories, air conditioners and ducts, televisions to DVD players, music systems, Computers, Invertors ect. Aluminium Properties as a metal, makes it a good electricity conductor. 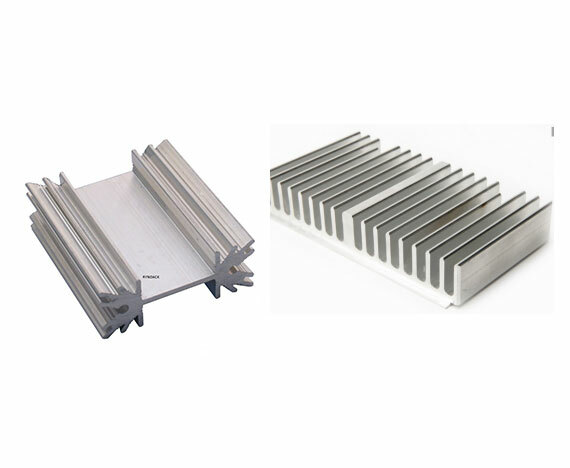 We manufacture various Bus bars and Heat Sinks used in Control Panel Industries. Corrosion resistance, light weight, Cost effectiveness and minimum maintenance make Aluminium being the first choice to be used for electrical appliances. Our inventory has various aluminum profiles widely being used in electrical industry. Aluminium Properties as a metal, makes it a good electricity conductor.